Simplify 2 Responsive Blogger Template - Simplify 2 Responsive Blogger This template template is the second version of the Simplify template. There are several features added and also with a more colorful display from the previous template. I have combined the premium version of the Simplify 2 template with the first version. 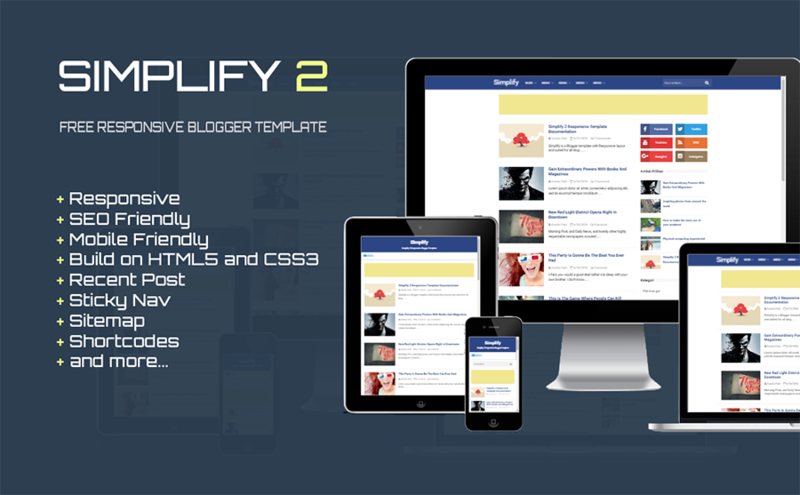 The following features of the Simplify 2 Premium Template.